116"L X 42.1"D x Chaise 101"
S300 sectional sofa is a perfect choice for upscale modern living rooms where high end product is number one priority. Wrapped in full Italian leather all around with tufted design seats and sides. Reclining seat on one side and long chase on the other completed by five adjustable headrests. 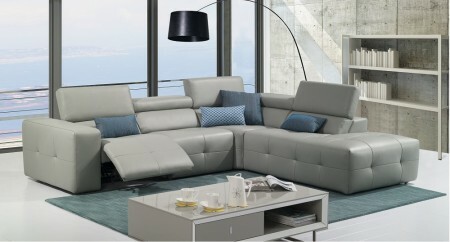 Made with the highest quality in mind this unique luxurious modern sectional will serve for many years in your home.